Not too often do brokers disclose a property's income (or reason for selling) on a public listing prior to a buyer prospect showing interest, or even prior to a showing for that matter. In this case, sellers of Craignair Inn have allowed me to openly discuss it - and with very good reason. The income is fantastic and still allows room to grow for new buyers, so why not market it? Below is the inn's year-to-date occupancy as compared with last year. It would seem that the wet Spring we experienced in Maine didn't really affect the business at Craignair like it did some properties. Room revenue was $200,000 and restaurant revenue was $113,000 in 2008. And at a list price of $1,150,000 - that works out to be a gross multiple of 5.75 based solely on room revenue, without any consideration of the additional restaurant revenue. 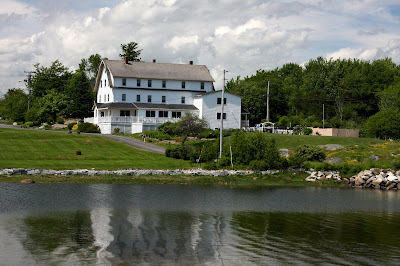 So in a nutshell we're looking at a 20 room property with plenty of room to increase the occupancy, priced at a 5.75 x gross and the inn is only open mid-May to mid-October, 5 full months. Restaurant profit is just icing, particularly when it's staffed and well established. Numerous properties on the market today aren't priced at this low of a gross multiple. The 4th level of the main building is a spacious finished attic space complete with a full bath for staff. 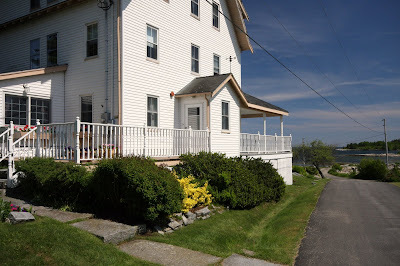 The owners quarters is a two bedroom two bath apartment on the 2nd floor of the main building with a small office area and spacious loving room complete with a beautiful water view. There is access to the kitchen via a separate stairway not utilized by the guests. More photos of the property are on Flickr. So you might be thinking that you have no restaurant ownership or management experience and have never considered a full service inn? Well neither did the seller. 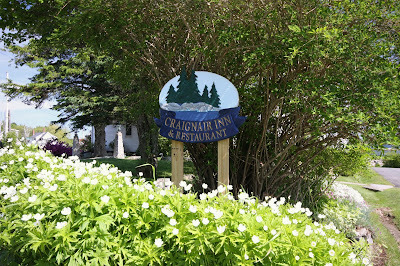 Craignair's restaurant is only open for dinner, has adequate staff and isn't absolutely essential to the business (though a very nice amenity) and the current chef has expressed interest in remaining with the inn under new ownership. I do believe having a restaurant can be a very strong marketing tool. The buyer could extend the season and having a full service inn with a restaurant on premises makes for a wonderful winter stay on the coast. Inn goers really love the notion of a staying at a full service inn during those romantic snowy months. During the high season the buyer could limit the restaurant service to weekends if they wanted. Or offer a fabulous weekend brunch buffet open to the public with complimentary Mimosas and Bloody Mary's for the guests at the inn. Or lease out the restaurant - there are many talented chefs who aren't financially positioned to purchase a restaurant of their own but have what it takes to run one. The sellers dine at the restaurant every night and are able to enjoy what their guests do (they also enjoy some really nice wines, too). So why are they selling? After 14 years, any innkeeper has a right to sell - they've put in their time! And this property, though owned by a couple, is only run by one of the partners. Of course she has more than adequate staff (both housekeeping and restaurant), but having a partner run a business of this size with you would make it much, much easier. Having a 2nd person involved would facilitate more marketing and more business growth. The current sellers are limited with just one person at the helm. A property on the market with room to grow is a buyer's advantage. 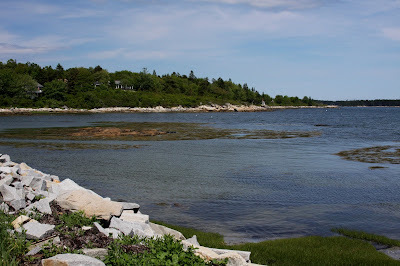 And one at this price, with water frontage, is pretty close to a rare find.